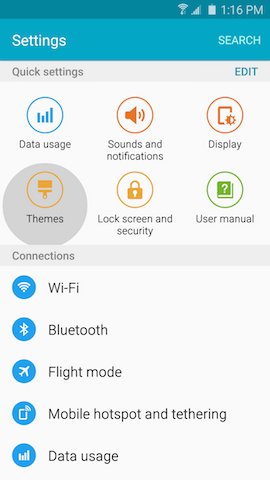 Galaxy S6 Edge: How do I download and change Themes on my Samsung Galaxy S6 Edge? 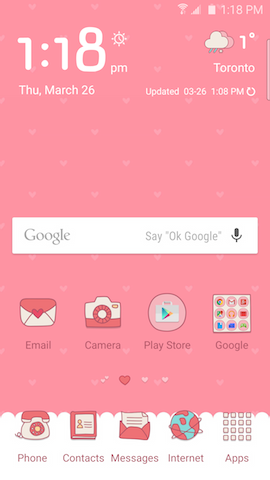 You can change the theme of your device. 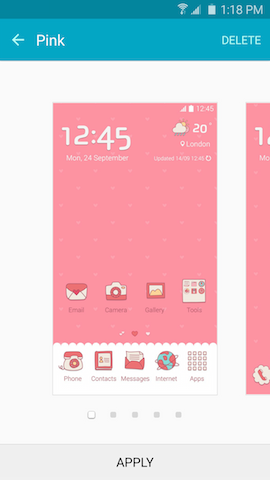 Themes change your device's color schemes, wallpaper, and icons. 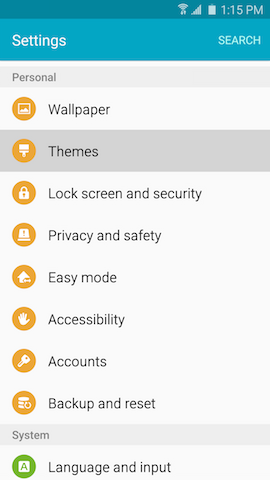 Themes are available for download from the Samsung Theme Store. 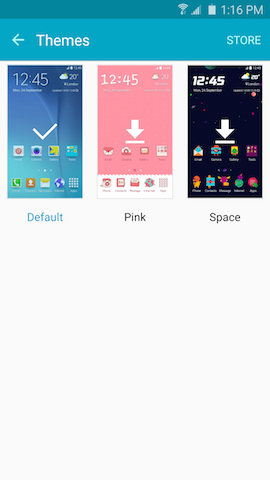 You can download themes for your device from the Samsung Theme Store. Note: It may be necessary to scroll down and then touch Themes under the Personal tab. 4. Touch one of the available themes, or touch STORE to open the Samsung Theme Store and select another theme. 6. When the download is complete, touch APPLY to apply the theme to your device. 7. 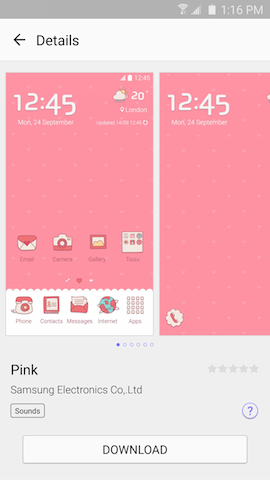 Your device will apply the downloaded theme and open your Home screen. How can I adjust the screen brightness and timeout on my Galaxy S6 Edge?